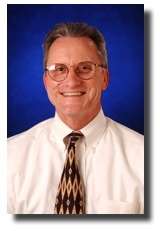 Dr. Michael Maddox received a Bachelor of Science degree in Physics in 1972 from Virginia Tech. He worked a an Instrumentation Engineer in the nuclear industry for several years before returning to Virginia Tech to earn his Master of Science and PhD degrees in Industrial Engineering/Human Factors. His graduate research centered on information transfer from computer-generated displays. Mike received his PhD in 1979. In 1980, Mike joined the Institute of Nuclear Power Operations (INPO) as a human factors expert. In 1982, Mike joined the staff of Search Technology, a small R&D firm in Atlanta. As Senior Scientist and Director of Consulting Services, Mike conducted research funded by both government and private-sector sponsors. In addition to his forensic consulting, Mike works as the Senior Scientist for HumanCentric Technologies (HCT) in Cary, NC. His primary area of work with HCT is human error risk assessment, primarily in the healthcare and ATC and aviation maintenance domains. He also directs and participates in projects related to user-centered product design and evaluation.